It’s no surprise that with a state slogan like “Tennessee TN – America at its Best,” Capital Exhibits design and trade show exhibit developing house has helped you, our customers, “Build Your Best Image” for 20 years. As a top 3D rendering design TN & graphic design company, we are always focused on helping our clients gain maximum exposure from their target audience. Our contemporary 3D rendering design & graphic designers realize how important it is to take advantage of every advertising and marketing opportunity. We partner with companies in all industries in Memphis, Nashville, Chattanooga, TN, Knoxville and anywhere else the Tennessee Trails may lead. Our modern 3D rending design and graphic designing studio has a team of in-house professionals, allowing us to minimize turnaround time and maximize quality control for our customers. All of our products are guaranteed and built to last from show to show. We offer a wide variety of trade show displays such as retractable banner stands, portable exhibits, pop ups, table top displays and almost anything else you can think of. See our products gallery 3D rendering design gallery for more ideas. Looking for one-stop shop services? Look no further! We’ve got what you need. You can combine our 3D design, print graphic design with exhibit displays, which are also available for rent, with graphic design images and advertising developed by our team of contemporary graphic designers. 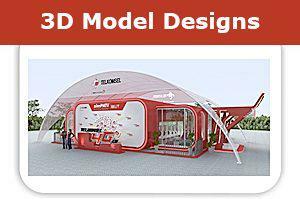 From beginning to end, we will help you to create your best trade show booth concept. We can help you bring new life to an old company logo or create a number of marketing materials from scratch. Our professional graphic design firm works in a collaborative effort with the client to develop a complete branding design package. With a focus on improving ROI and brand recognition, we can provide brochure design work, design business cards, or develop unique logo designs. We can even create company or promotional tee shirts. No job is too big or too small. We know when searching for the best graphic design trends and techniques, Tennesseans turn to Capital Exhibits. With Capital Exhibits’ graphic art design services, our clients recognize the value of having outstanding branding design graphics at an affordable price. 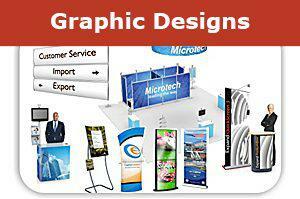 We make sure you are equipped for your next major event and we will deliver the products on time and on budget. For graphic design quotes and rates, contact us today! Please call 866-730-3746 or email us at [email protected].